The fifth day of 2012 French Open left behind Maria Kirilenko who was beaten by Czech Klara Zakopalova. And though Ana Ivanovic will still be competing tomorrow, we think it's good time to review what Adidas has presented on women's side. Ana is wearing a dress similar to the one she wore at Australian Open, but in different color combination (the color resembles Serena Wiliams' dress, though as for me, Serena's dress looked much better). Maria presented the clothing from Adidas Adipure line which looked really good taking into consideration bright colors that are hot this season and nice cut. The fourth day in the tournament became the last for Venus Williams, whose sister Serena lost yesterday in the first round for the first time in her career. Those who are following tennis and noticed Venus' return during the clay season, surely have noticed that she also changed her style - from radical and outrageous dresses to more traditional ones. 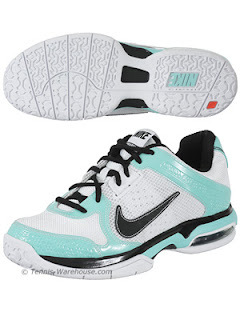 New collection of eleVen by Venus is actually available for purchase through Tennis Warehouse. 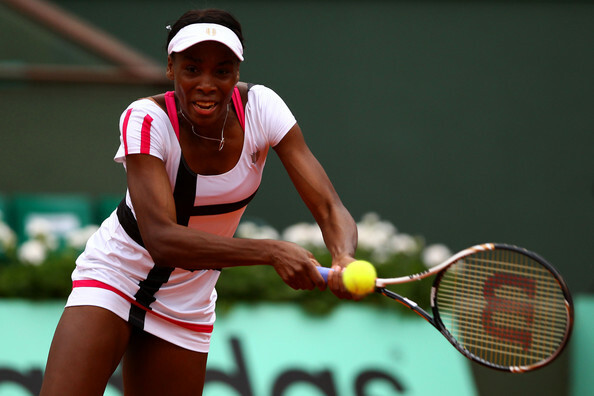 Though there is not French Open dress yet, you can have a look at the outfit Venus sported at Sony Ericsson Open and other items from her new collection. 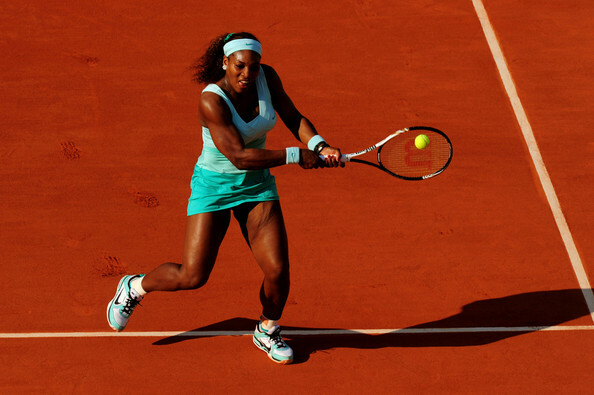 One more shocking event at 2012 French Open - Serena Williams is out of the tournament right after her first match! It was really surprising that Serena lost to Virginie Rozzano of France who is not even in top 100 on WTA tour. Lots of hopes were there that Serena would win her second French Open title this year, especially after her successes this year on major clay courts before the French Open. Speaking of fashion, Serena looked great. Her Nike dress in mint color with a faux wrap construction looked really stylish. 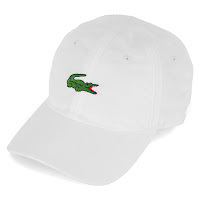 Since we've already touched Lacoste fashion at French Open speaking about Andy Roddick's 2012 French Open fashion, we would like to continue it and show what Lacoste presented on the women's side. 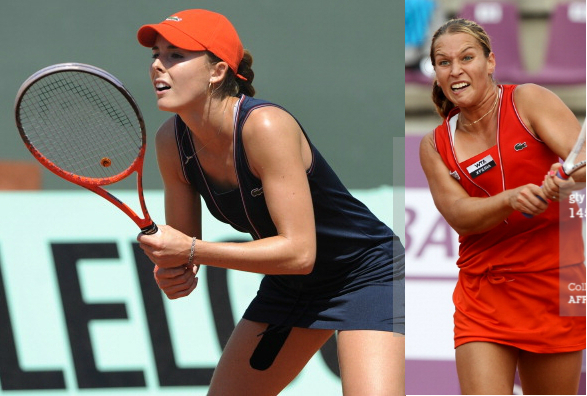 I really liked Alize Cornet's Lacoste dress in blue, which was also worn by Dominica Cibulkova, but in orange-red color. Orange-red seems to be one of the trendy tennis colors this season, as most of major brands use it in their collections, including Nike and adidas. 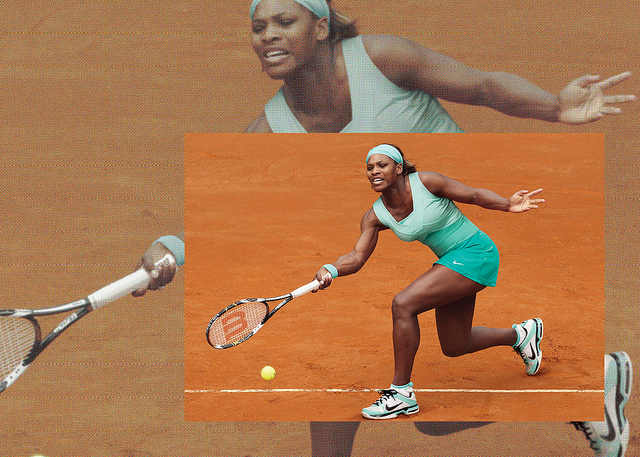 Not sure if it's red clay inspiration or just a coincidence, but to my mind, it's too much red and orange and it'd be better to dress into something else when you are playing on a red clay anyway... The dress itself is classy and cute, and is also available in white (may be we'll see it once again on Wimbledon). 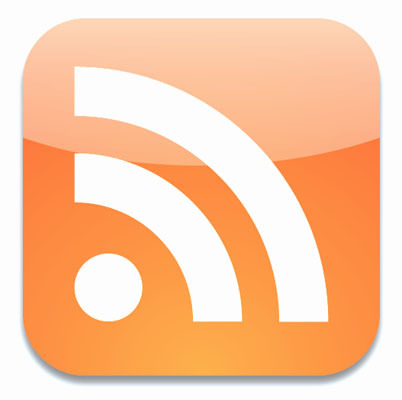 The first day of 2012 French Open was shocking for all American fans. 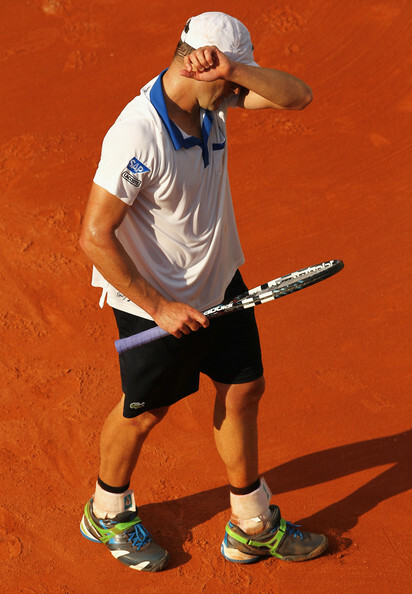 Andy Roddick lost in the first round to Nicolas Mahut of France. Andy hasn't been playing well lately and we haven't seen him much on the courts... Hopefully it doesn't mean that Andy's career is coming to the end... 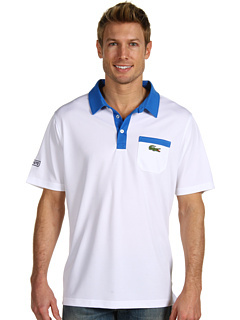 Anyway, we'd like to present Andy's outfit created by Lacoste - as always classy. You do not have to be all slender and skinny just to be able to look fashionable on the tennis courts. Everyone wants to look their best and to be up-to-date with their sports attires. 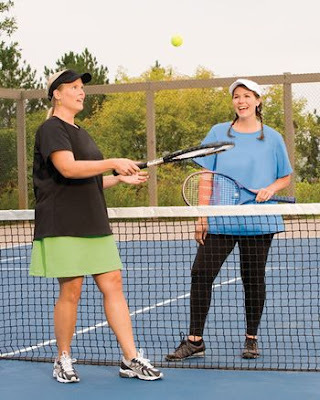 This is why plus size tennis fashion has become widespread already, with the big names in the sports clothing industry coming up with plenty of trendy and stylish tops, bottoms, and dresses made especially for the plus size women players. 1. Go for vertical and diagonal lines. At all times, you should avoid clothes with horizontal stripes or designs as these will make your frame appear wider. Instead, choose those with vertical lines which can make you seem longer so as to give a slimming illusion. Also, diagonal lines are said to hide the bulges and distract the eyes away from the problem areas. 2. Choose darker colors and plain materials on problematic areas. Although you may sometimes get tempted buying tennis apparel with bright and loud colors or those with splashes of attention-grabbing designs, it is best to play it safe with darker colors that can conceal your problematic areas. For example, if you do not want to draw attention to your large hips and legs, perhaps you can go for a top with ruffles on the neck or one with an eye-catching design at the top part. This way, eyes will be drawn to your neck and face instead. 3. Select the right fit. If you are big, it is advisable to pick out fitted clothes but not tight ones. Never choose the very loose types because they will just make you appear bigger. Of course you should also go for an outfit that makes you feel comfortable. No matter what you decide to wear, you should focus more on comfort and style that suit you instead of trying to look like tennis celebrities. Black is always good for large frames because it can make you look slimmer. Also, this particular shirt is very comfortable for playing tennis. Its dri-fit material and mesh panel at the back are great for keeping you cool and dry. Whoever said you can't wear white and a tank top too? If you have nice arms, flaunt them. Wearing a tank top is very comfy and if you feel you can carry it well, then go for it. This particular tank from Nike is very stylish and yet does not emphasize the tummy area because of the simple design accent at the top part. Of course it also comes with wonderful ventilation and cooling features. 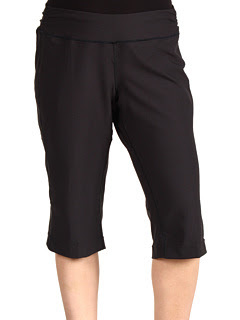 For women who love to engage in sports, particularly tennis, this pair of capris is fantastic. 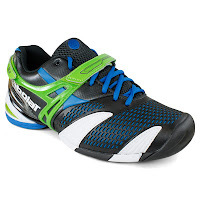 Aside from the stylish design, its dark color and perfect cut are great for hiding those flabs and making you feel more confident and at ease on the court. Pair any of the aforementioned tops with this tennis skirt which also comes in classic black and white colors. It is comfortable because of the waistband and "just right" length. 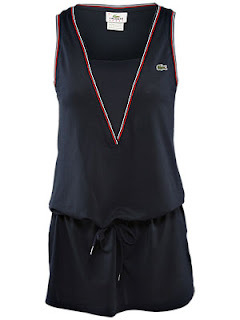 What's more, the cut is good for plus size tennis fashion as it is not frilly and too wide, but not too fitted either. What's a good tennis diet? Certainly, these athletes need to follow proper nutrition if they want to remain up and about during a game and to always be in tip-top condition for trainings and competitions. If you seriously want to take up tennis, you have to be prepared for all its rigor and hard work. Included in the discipline is following a great tennis diet. One element here is proper hydration, which is vital for your continued strength and endurance. You should drink eight glasses of water or more, if possible, every single day. Also take note that it is best to avoid caffeinated drinks, and to take in sports and energy drinks only when you are preparing for matches. For tennis players, foods high in carbohydrates are crucial. These provide a great amount of energy which regular players need in order to keep being on the move when playing a game. Since tennis is a physically exhausting sport, it is advisable to always stock up on carbohydrates especially a few hours before a game. 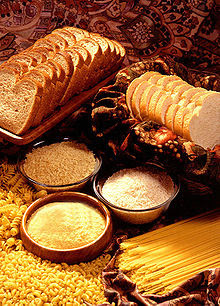 Pasta, brown rice, and wheat bread are recommended. You may also eat a lot of corn and potatoes as part of your daily food intake. Of course as a tennis player, you cannot just rely on carbs alone. 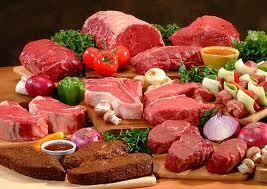 You should still include a steady supply of proteins in your tennis diet. This is not only another good source of energy, but it helps significantly in fixing broken tissues that were damaged during your strenuous physical activity. However, you should remember to only choose protein-rich foods that are low in fat such as poultry meat and lean meat. 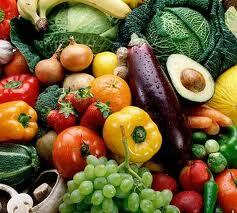 Another important factor in the proper tennis diet is the intake of fruits and vegetables. Keep in mind that these are where you can get a lot of minerals, vitamins, and other nutrients. You should make the most of the variety available, because each kind can contribute a different nutritional value for your body. For example, carrots and squash can give you beta carotene. Meanwhile, berries like strawberries and blueberries are great sources of antioxidants. Indeed engaging in sports, especially if you intend to take it up on a competitive or pro level, takes great discipline in the diet and nutrition that you provide for yourself. This way, you can be your best on the courts!